University Press of Mississippi, 9781578064229, 222pp. 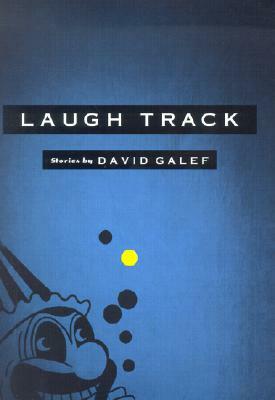 Though David Galef may be best known for his novels Flesh and Turning Japanese, he has also published over sixty short stories in magazines ranging from the British Punch to the Czech Prague Revue, the Canadian Prism International, and the American Shenandoah. The fifteen stories selected for Laugh Track are an eclectic mix, ranging from a haunting vignette called "You," to "Triptych," the tale of an elementary school teacher whose men in her life include a precocious third-grader. In the title story, a failed comedian brings a recorded laugh track to his regular Wednesday psychoanalytic session. During the sometimes tortuous, often hilarious course of treatment, he finally succeeds in displacing his blocked impulsesi--to the extreme discomfort of his therapist. In "All Cretans," a lovelorn tourist in Greece gets ensnared in a set of ancient philosophical paradoxes. In "The Web of M bius," what's left of a once-murderous psychotic's life revolves in a bizarrely twisted circle. Laugh Track offers fifteen different worlds--from a blocked expatriate writer in Mexico, to a drug heist gone wrong in downtown Manhattan, to a love affair pursued at the last leper colony in the United States. These are stories that flirt with the veil of fantasy and yet in the end reveal the all-too-vulnerable side of humanity. Like so many people, Galef's characters are searching for something in life that will solve everything--but the results are unpredictable, to say the least. David Galef is an associate professor of English at the University of Mississippi. In addition to his two novels and many short stories, his essays and reviews have appeared in the New York Times, Twentieth Century Literature, and other publications. His eight previous books include Japanese translations, literary criticism, and children's stories. "Flesh is a constantly pleasurable experience to read; it possesses in abundance style and intelligence, and above all a huge zest for life." --D. M. Thomas.